You normally have to buy a new car if you want the latest technology -- you know, like lane departure warnings, self-parking, and onboard Wi-Fi. But in the case of Wi-Fi, T-Mobile has an add-on solution that works on most cars manufactured after 1996. 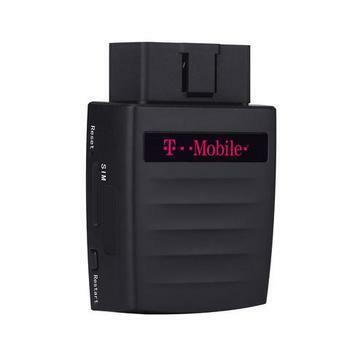 It's called SyncUP and it's a device that you plug into your car's onboard diagnostics port. Once connected it brings you 4G LTE Wi-Fi and remote monitoring capabilities. “With T-Mobile SyncUP DRIVE, you have a new way to ride on America’s fastest nationwide 4G LTE network,” said John Legere, president and CEO of T-Mobile. “We’re making it radically simple for customers to connect their cars with a complete, all-in-one package." SyncUP normally costs $149 but will be available free to consumers who signed up after Nov. 18 for a 24-month no-cost finance agreement with a 2GB or higher mobile Internet plan, Legere said. Similar devices are available from Verizon and AT&T, though under somewhat different terms. They're also being offered, though often without the Wi-Fi capability, by insurance companies and others who want to keep track of how and where cars are being driven. Besides Wi-Fi, T-Mobile said SyncUP can analyze your driving behavior by keeping track of speed, harsh braking, and rapid acceleration. It can also let you monitor others driving the car, including family members, by providing reports on driving behavior, destinations and current location of the car. Is your connected car vulnerable to theft?